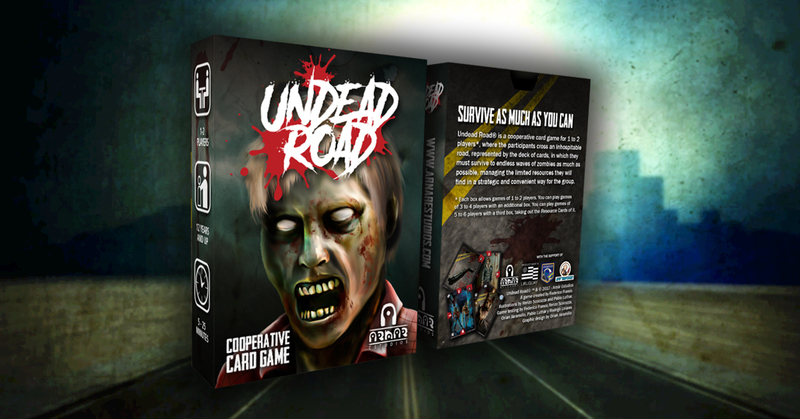 UNDEAD ROAD® is a cooperative card game for 1 to 2 players*, where the players cross an inhospitable road, represented by the deck of cards, in which they must survive to endless waves of zombies as much as possible, managing the limits resources they will find in a strategic and convenient way for the group. UNDEAD ROAD® is definded as a "Endless survival game". Each game lasts until the players are defeated by the zombies in the deck. The goal is to endure the most "waves" as possible. Each wave is the full use of a deck. When all the cards of the deck have been played, are shuffled again and start another "wave". *Each deck allows games of 1 to 2 players. You can play games of 3 to 4 player with an additional deck. You can play games of 5 to 6 players with a third deck, taking out the Resources Cards of it. We highly recommend to include the Plastic Deckbox. In UNDEAD ROAD®, players collaborate each other trying to go as far as they can through a common deck of cards that represents a dangerous road, full of danger and zombies. Each player has a card that represents a survivor. That card is used to record the life points of the survivor (turning the card clockwise) and equipping up to a maximum of two objects (one on each side of the card). During his turn, each player draws a card from the deck and all the players try to resolve the situation that the card presents. 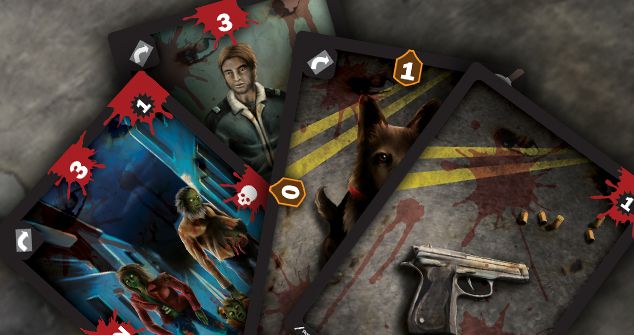 From the decks can come out zombies, objects of different types (weapons, healing stuff, ammunition, resources) or multiplying cards that force you to draw huge number of cards at once. Players must agree together how to solve the situation (eliminate the zombies, equip or use the objects, exchange them, etc). Gradually, the game ends up beating the players. The idea is to try to go through the entire deck as many times as possible. UNDEAD ROAD® ™ & ® 2017 - Arnár Estudios. A game created by Federico Franco. Illustrations by Renzo Scocozza and Pablo Luthar. Game testing by Federico Franco, Renzo Scocozza, Orian Jaramillo, Pablo Luthar y Rodrigo Linares. Graphic design by Orian Jaramillo. This title was added to our catalog on February 26, 2018.